Here at the Rockin’ R Ranch, we want to personalize your dude ranch vacation as much as possible. 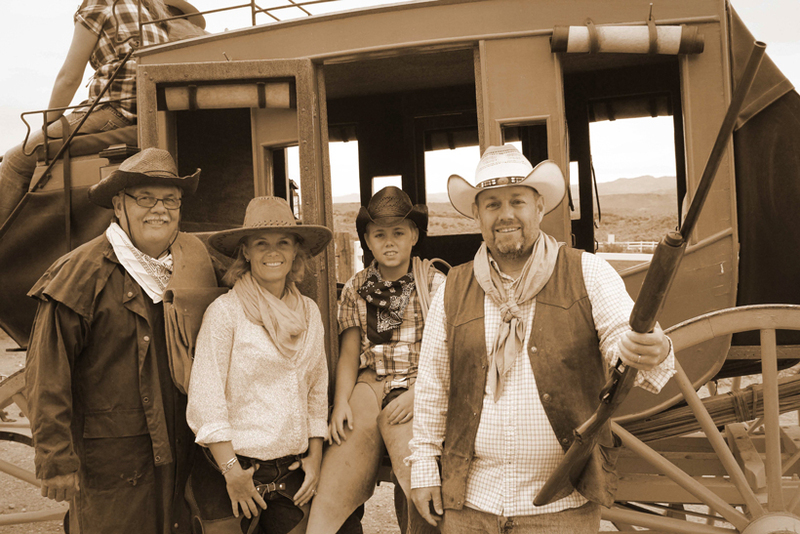 Our all-inclusive ranch vacation package includes a lot of fun activities. However, if you want to spice things up a bit, we have some activities for an additional cost that can add to your Vacation of a Lifetime! Not all of the following activities are available every day. If you let us know ahead of your stay with us that you would like to participate in a particular activity, we’ll make sure our scheduling manager is aware of your interest, and she will do her best to accommodate you. You may also be able to schedule some of these activities while you are staying with us at the Ranch. Wake up early, saddle up, and head out with our wranglers before breakfast to bring in the Remuda from the meadows below the Ranch. Not only will you be proud to have helped gather in the entire horse herd, but you’ll also have bragging rights as you tell your friends about being a real Cowboy. This is a Rockin’ R Ranch guest favorite! (You must have some riding experience and be approved by one of our wranglers in order to participate in this activity.) $35 per person. Have you ever wondered how horses go from a wild, running, and bucking animal to a Cowboy’s best pal? Learn some basic Natural Horsemanship as you participate in working with some of our young horse stock in our Round Corral Session. We’ll teach you some horse training history as well as how to communicate with horses. This activity goes hand-in-hand with the Horseback Riding Lesson. $35 per person. Learn to ride or tune up your riding skills. One of our wranglers will teach you better riding techniques as well as play some fun games to help you ride better. This class is great for all ages and riding abilities! (Maximum of four people per session.) $35 per person for an hour session. Pretend it’s the 1800’s and you’re on a stagecoach traveling across the rustic trails in an Old Western movie avoiding that dastardly Wild Bunch. We’ll take you on a horse-drawn ride in our authentic stagecoach through the beautiful town of Antimony. $10 per person. We’ll trailer up the horses to go to nearby scenic Antimony Canyon for a half-day ride to one of the most unique rock formations in Utah–beautiful Cowboy Rock! We’ll take sack lunches and explore the hidden beauties of Antimony Creek and Canyon. This is one of the most scenic rides that Rockin’ R Ranch has to offer. Don’t miss your chance to see a part of Utah not very many people–even Utah locals–know about. $45 per person. Ride with us as we experience some of the natural beauty of the Colorado Plateau. We’ll take sack lunches and spend most of the day riding up to beautiful and remote Antimony Lake, a high-mountain lake that sits at around 9000 feet in elevation. This ride can be as challenging as it is beautiful! $65 per person. We’ll ride from the main ranch to a private stream a few miles south where we’ll eat lunch and spend the afternoon fishing before riding back to the Ranch. What a relaxing way to spend the day! (We’ll provide the fishing equipment.) $65 per person (without a fishing guide) or $95 per person (with a fishing guide). Head out after hours for a 1 ½-hour starlit ride through the lush meadows and rolling hills guided by the light of the moon and millions of stars in the sky. This ride makes a very romantic couple’s ride. (Weather permitting; maximum of 4 people; no one under age 14 allowed.) $65 per person. The Wild West means Cowboys, Horses, and Guns! 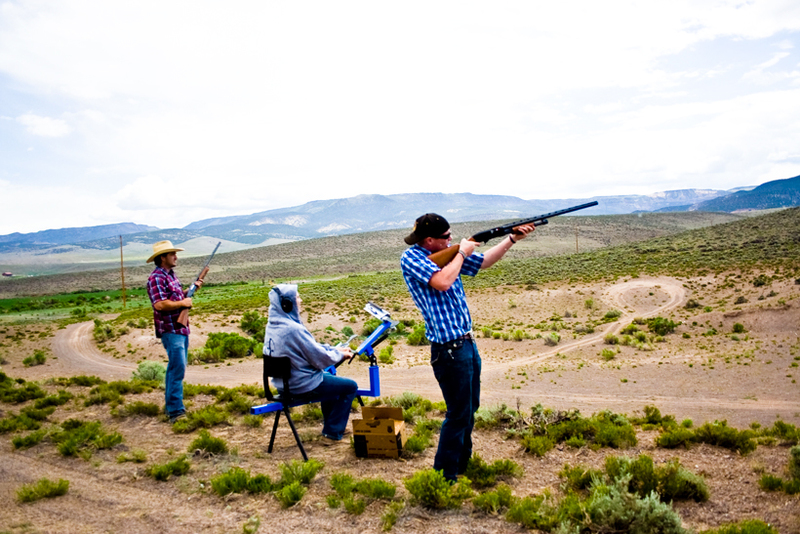 Join us for some clay pigeon shooting. No prior experience is necessary. Our safe and knowledgeable staff will show you how to have a rootin’ and shootin’ good time. (Add $10 per extra person sharing in the 50 shots.) $45 per person (includes 50 shots). 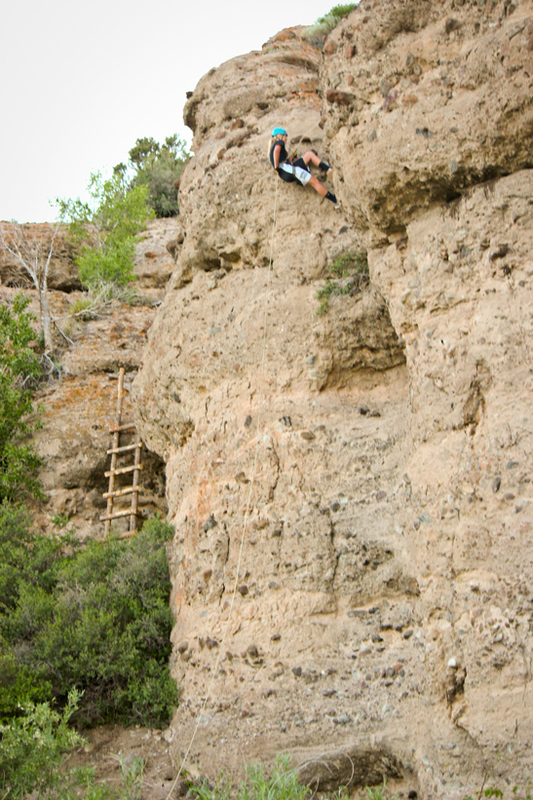 Climb up our natural river cliffs to one of the most breathtaking views in the valley. Or you can rappel over 65 feet onto the banks of the south fork of the Sevier River! This is a great activity for small families, family reunion groups, business retreats and youth groups. If your large group is interested, we offer a great group incentive. (This activity is for ages 12 and older.) $65 per person. *These four specialty rides are not always available between June 15th and August 15th.